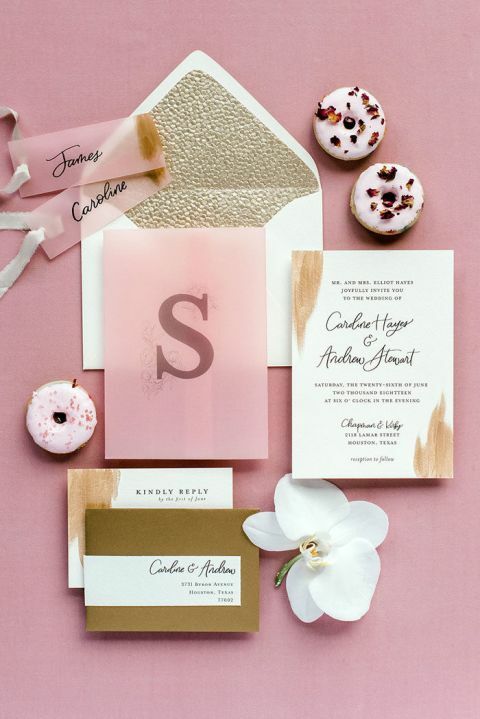 We are taking things over the top luxe with this glam wedding shoot inspired by pink champagne! 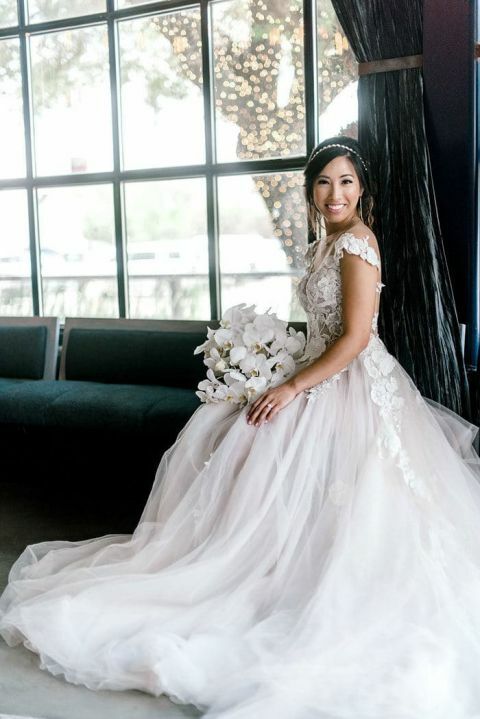 Dana Fernandez Photography and Two Be Wed envisioned a swank New Year’s Eve wedding when styling the modern-meets-industrial Houston, TX, venue Chapman & Kirby, but these gorgeous ideas will appeal to lovers of pink any time of the year! 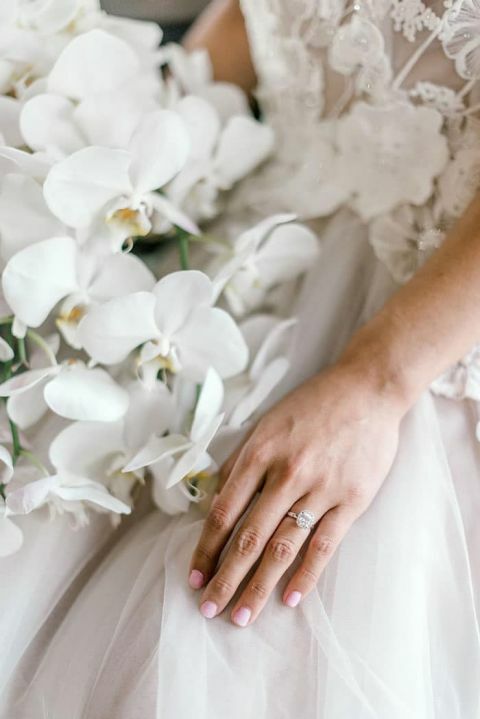 Acrylic, marble, and industrial metals play off agate and sequins to create the ultimate luxurious wedding, capped off with dramatic floral arrangements by Plants N’ Petals and a dessert bar from Wink by Erica that is to die for! A statement Galia Lahav wedding dress and blush sequin bridesmaid look bring this chic and feminine inspiration full circle! 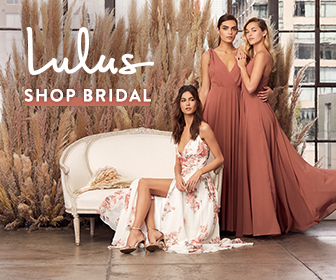 The vision for this stylish bridal party was over the top feminine, from the 3-D floral lace appliqué on the bride’s Galia Lahav gown to the bridesmaid’s rose gold sequin dress. Even the ‘flower girl’, an adorable Maltese puppy named Brooklyn, looked the part in a sequin tutu and flower adorned leash! 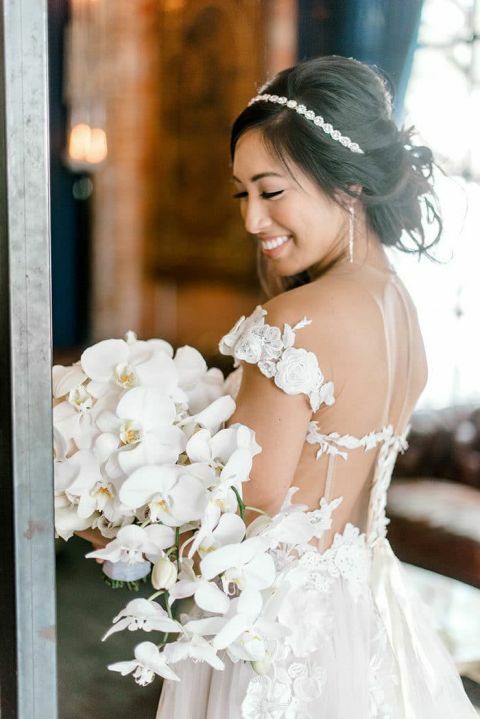 Plants N’ Petals used the same dramatic phalaenopsis orchids in the bride’s bouquet to decorate her dog’s leash to create a gorgeous accent to the bridal party! The groom and groomsmen kept things classic in dark suits from JCrew, with a bold pink tie to create a cohesive look! The dramatic glass windows and industrial metal interior of Chapman & Kirby served as a picture perfect backdrop to the luxe wedding reception. Champagne sequin linens from Plants N’ Petals created a glamorous cocktail hour, all the better to serve pink champagne and rosé, of course! The reception decor was the perfect blend of modern luxury, with a mirrored tabletop and ghost chairs creating a showstopping Head Table. Towering arrangements of orchids and lilies capped each end of the table, with honeycomb vases in monochromatic arrangements of pink and white adding subtle color to the silver and acrylic accents of the tabletop. 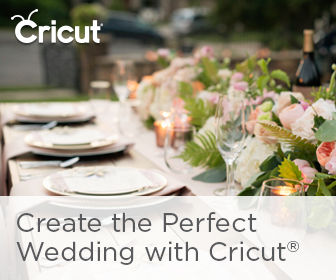 Vellum invitations, rose gold flatware, and favors of mini rosé bottles created a welcoming place setting for each guest. The evening was capped off with a truly stunning dessert bar! The marble and acrylic bar at Chapman & Kirby could not have been more on trend, creating a showpiece for Wink by Erica‘s pink champagne cake with rose gold drizzle, flower petal topped mini donuts, and picture perfect cake tops to create an array of all things sweet and pink!